We are developing pioneering pumpkin and onion cultivars. Recently, we have released cultivars in pumpkin such as "Kurihikari" (joint development with the private sector) suitable for food processing ability and having short internodes, "JeJeJ" with good storage storability and having short internodes (joint development with the private sector), "Stripe pepo" which produce edible seeds. In onion, we developed "Quergold" with a high quercetin content. We develop onion cultivars with high processing suitability and early growth. 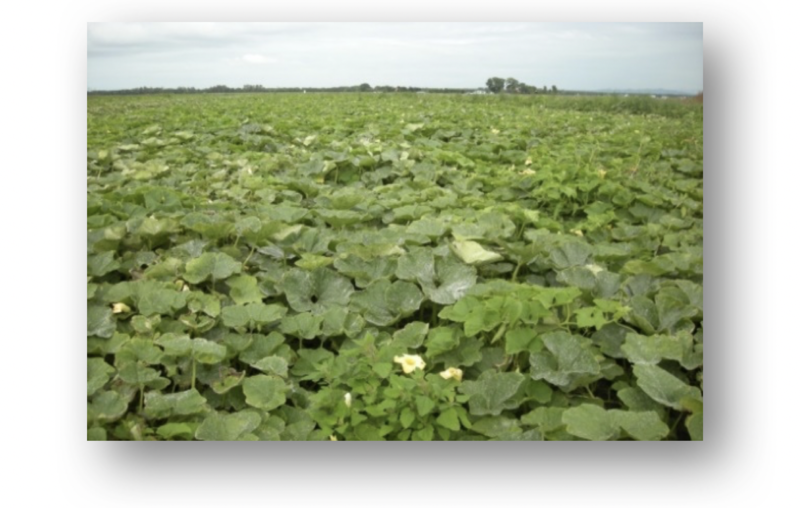 We develop pumpkin cultivars with high levels storability and food processing ability. In the breeding programs, we utilize various genetic resources obtained through overseas exploration and others, further, advanced breeding lines are evaluated by industrial users to meet the up-to-date demands.